"Anatomy of a Horseshoe Crab"
Copyright © 2012 Meg Sodano. This image is available for reuse purchase. 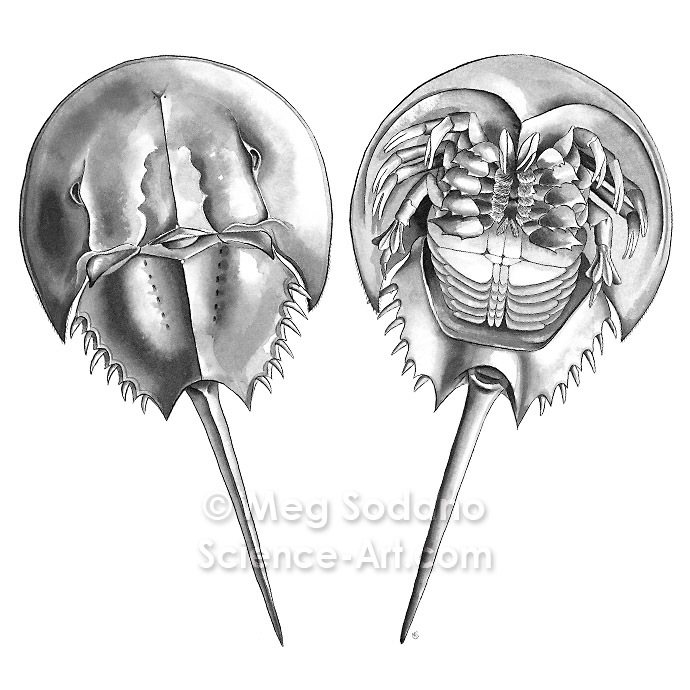 Meg Sodano DescriptionDorsal and ventral views of Limulus polyphemus. These pieces are part of a series created for the educational programs and exhibit visuals at Mystic Aquarium.